Today's post is all about how to be super organised this Christmas and 10 ways you can achieve it. If you are reading this and you haven't bought a single Christmas present, i'm not going to lie, you're not really rocking this organised Christmas malarky, considering in realistic terms you have 3 weeks left to buy and wrap all your presents, no pressure. Don't fear though, this post will give you useful tips that will make your Christmas a little less stressful, even if you're that crazy person who does all of their shopping on Christmas Eve afternoon *shudders*. #1 MAKE A LIST, CHECK IT TWICE. List making is the basic tool and skill adopted by all people who are super organised. It simplifies what needs to be done and instead of letting everything float around in your brain it allows you to see in front of you what's done, what's left and what you have probably forgotten in the whirlwind that is December and the festive season. I like to make three lists and label them FOOD, PRESENTS & CHRISTMAS MISCELLANEOUS. I cook every single Christmas now because I am a total control freak and can't handle the thought of someone getting my Christmas dinner wrong! So I have a list for all the FOOD shops I need to do in the lead up and the dates I need to buy certain things to ensure they don't go out of date/make sure I get them in good time before it's sold out. I look for deals and will spontaneously buy things like soft drinks and alcohol throughout Nov/Dec depending on what deals are on each week. I then have a list for PRESENTS, in which I write down every person who I will be buying for and a rough idea of what I am getting for them. My last list is CHRISTMAS MISCELLANEOUS which is basically a list of everything we need that people usually forget, so batteries (imperative if you have kids), christmas wrapping paper, ribbon, gift tags, sellotape, napkins and much more. #2 GET INSPIRATION BEFORE YOU SHOP. I do a mixture of online shopping and in store shopping, usually I only buy online if I am getting a deal. I shop in store if I am buying something full price. Despite doing my shopping like this, I like to know what I am getting everyone, so I usually do some research and get some inspiration online before I purchase or go out and buy it. This is a great way to get organised because if you have an idea in your head what you are buying for people early on you're not scouring the busy shops for inspiration whilst being elbowed and fighting someone for the last product on the shelf. Christmas brings chaos and if you're lucky enough to receive lots for Christmas or you have children you will know that it's hard to find the space to keep it all. Ever since I had my daughter every year has been about dreading the storage situation and now I have had my son it's his first Christmas and we know that everyone is going to go OTT, so this year we have to be savvy about storage. My plan is to have a clear out, all of Harper's toys that she has grown out of or doesn't like anymore are being given away to those who are less fortunate than us. There are so many ways you can give back and in turn get back some storage space. So make this weekend the one where you have a clear out and consequently you could make somebody else's Christmas special. With the millions of photo's that you will inevitably be in, as much as we would rather stay in our Christmas PJ's all day long, it's not exactly tres chic is it? Take advantage of this week to find your Christmas outfit so many brands are still offering great discounts in the shadows of Black Friday. You will also need to give yourself plenty of time to send it back and find an alternative so sort it out before you have to look back on 2016 Christmas photo's and see yourself looking like a scruff in your reindeer onesie. - Contact each of your guests asking what they will eat, what they won't eat and if you're doing a starter give at least three options, this way you can work out how much you need of everything and make sure that you don't serve up the wrong food. - Make sure you have a snack table that guests can indulge in throughout the day, especially if they're going to be at your house for the long haul. - Ask everyone to bring a bottle, in my opinion, it's not your job to provide alcohol. I always buy a few bottles of white for myself and guests who want to drink it with me and I buy all the soft drinks for non drinkers and children, but i'm not going to be buying crates of beer or whisky, no bring it yourself if you want it. Make sure this is clear, text/ring around maybe a week in advance to ensure that is clear. - Do not start drinking until midday, as hard as it is not to crack open a bottle at 11am, if you're too smashed to stand before the turkey is cooked, you've fucked it. - Plan and work out the timings of each item of food that needs to be cooked/prepared, so that you can give yourself the time to enjoy the day as well. For example, I usually chop all the veg and prepare anything that can be at 7am whilst I am cooking breakfast. 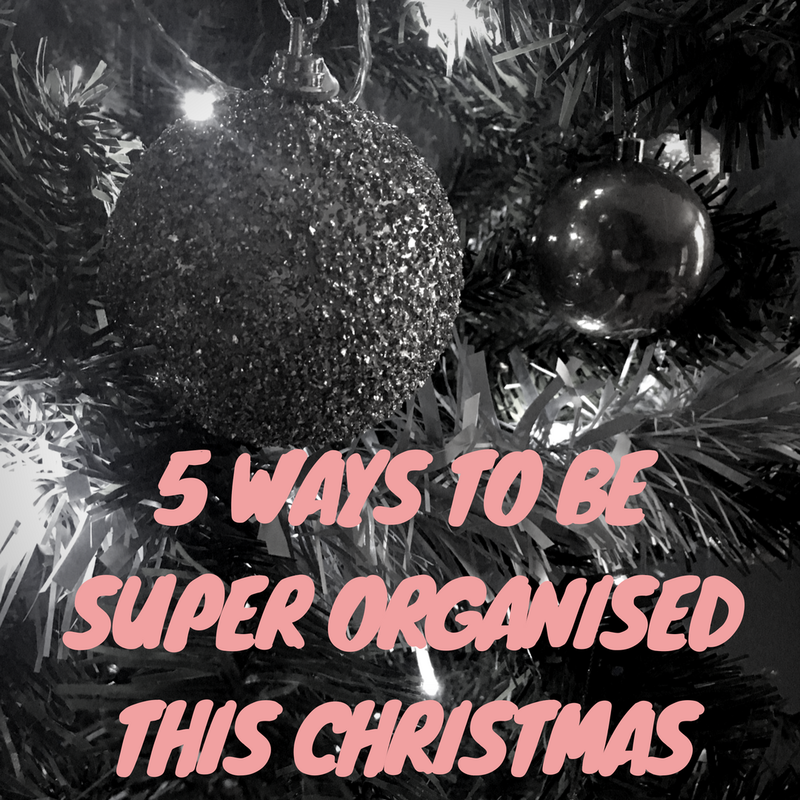 That is all for my 5 top tips on being super organised this Christmas, are you hosting Christmas this year? Or are you wise enough to leave it to somebody else? 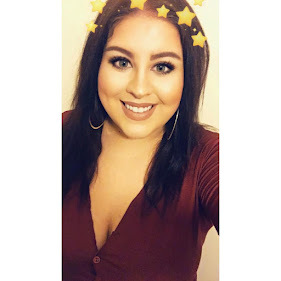 Leave me a comment below letting me know your Christmas plans this year, and make sure you are following me on Twitter and Instagram if you want to see more from me.